Low cost, low profile embroidered hat with your company or organization logo is a reality. Additional applications include but not limited to ball teams, leagues, clubs or schools. 6 panel unstructured crown, sewn eyelets, pre-curved visor 4 rows stitches. Hat style is available in structured crown if desired, specify on order. 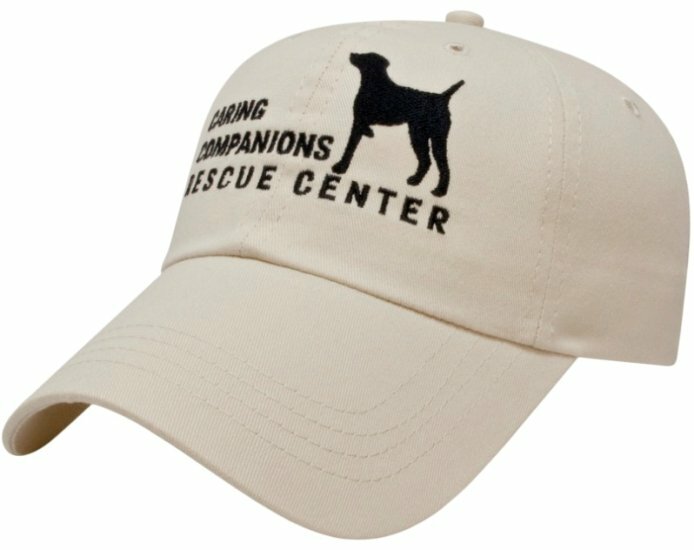 Rush Promotional Hats Production at no additional charge. Normal delivery from date of an order for this hat is 3 weeks. Price includes up to 10,000 Stitch Embroidery on front 5 1/2" w x 2 3/8" h.
tape of $20 and a running charge of $.50 per each hat. Logos require Illustrator or In Design ai, eps or pdf.